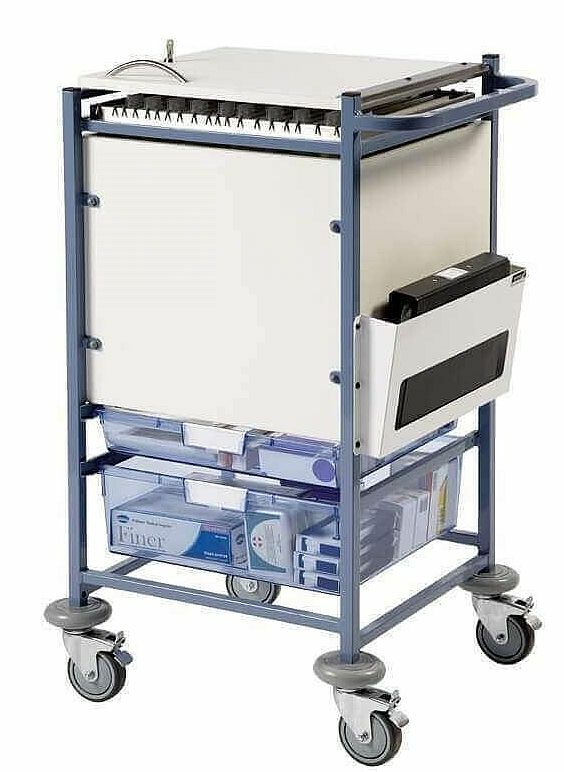 Designed to provide a complete solution for storing, distributing and accessing medical notes and X-Rays. 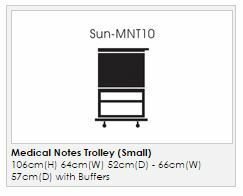 Medical notes trolleys are aesthetically pleasing, hygienically designed and combine smart adjustable filing pockets with easy access, while being functional, strong, secure and easy to clean. Databases can be wonderful things though technology can sometimes throw a wrench in to the mechanism. 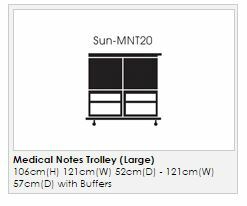 Our new shop at https://www.merlin-industrial.com (In case you had forgotten) has a recent problem where 412 products in the lifting category had switched images and descriptions and some kind guest let us know. The matter has now been resolved so that what you see is what you get WYSIWYG! 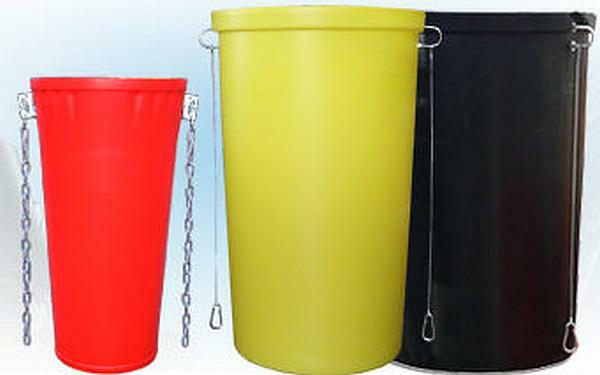 Rubbish and Rubble chutes in three different sizes and a myriad of colours to offer a safe and attractive way of getting various items from the top of a building to the bottom where a skip can be sited for easy collection and disposal. 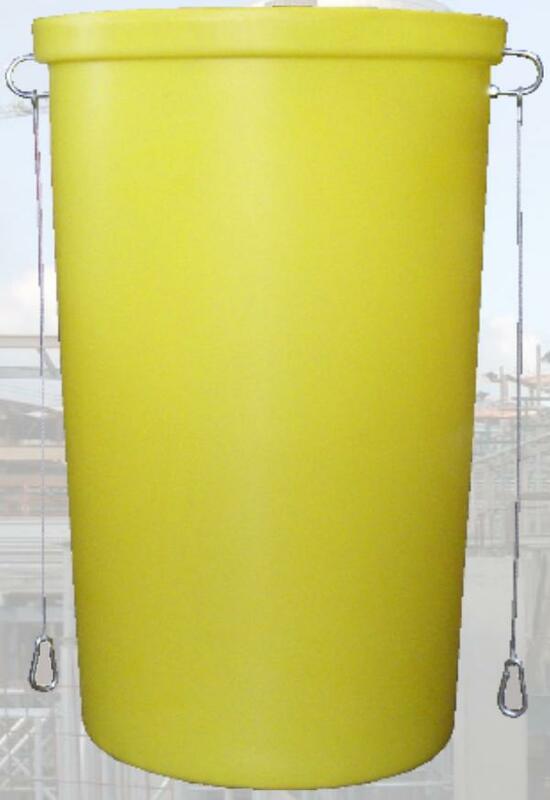 When erected this assembly becomes a flexible unit providing a versatile chute system. This system is ideal in situations where a rigid system is impractical. A welded galvanised bracket and chain assembly is supplied as a single unit so chains cannot be lost. 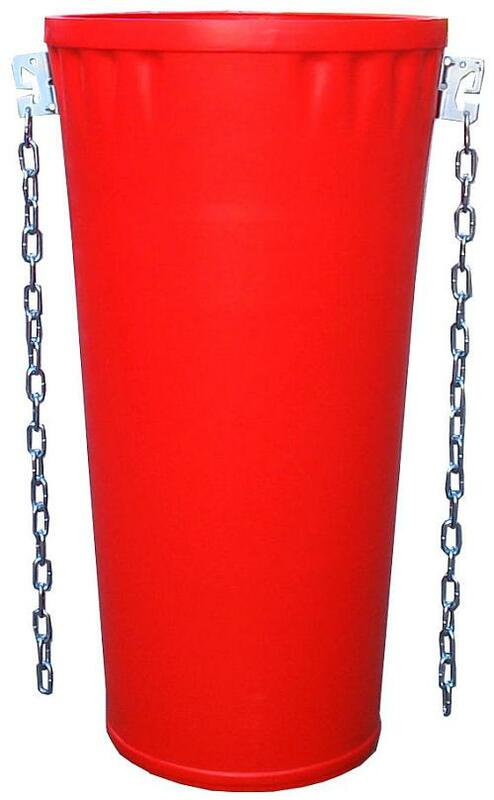 Each chute and side entry section is supplied with a bracket and chain assembly. This system can be provided with a variety of accessories for quick and simple fixing in any situation i.e.from windows,scaffolding or flat roofs. The taper allows for easy stacking for reducing transport and storage costs. Proof tested to 960 Kg. When erected this assembly becomes a semi-rigid unit providing strength and rigidity minimising damage and dust. The system is ideal in situations where a versatile system is impractical. A slight taper and increased diameter creates a more durable and essentially dust free system. 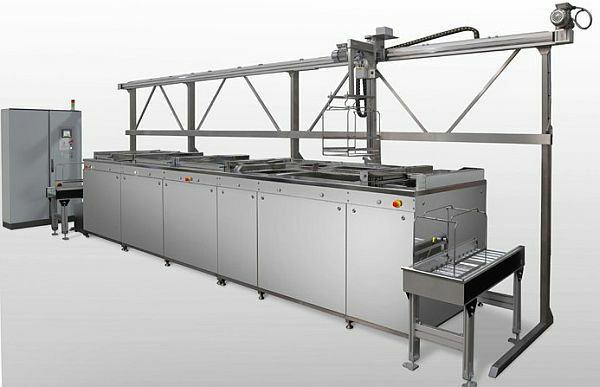 Each chute and side entry section is supplied with a wire rope and snap hook assembly which allows for quick and easy connections to scaffolding without the need for additional accessories or frames. This system is suitable for larger debris which would block narrower chutes.The larger diameter semi rigid chute makes the removal of bulky materials easier as it provides over double the area of standard 20 inch rota chute. Each chute and side entry section is supplied with a wire rope and snap hook assembly which allows for quick and easy connections to scaffolding without the need for additional accessories or frames. 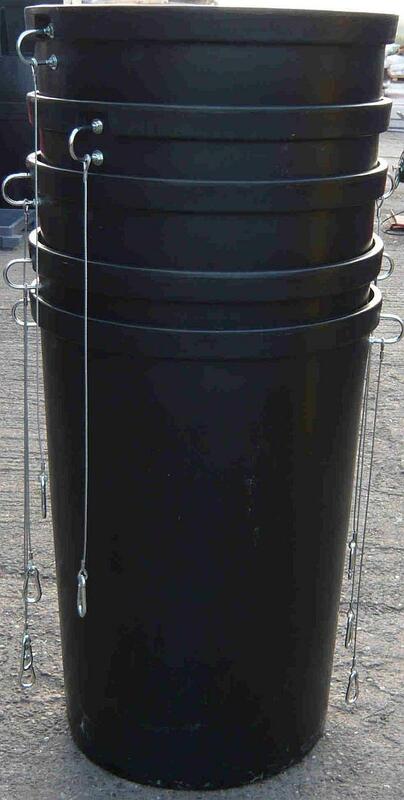 All our designs are available with top hoppers and side entry hoppers suitable for multi level entry use. 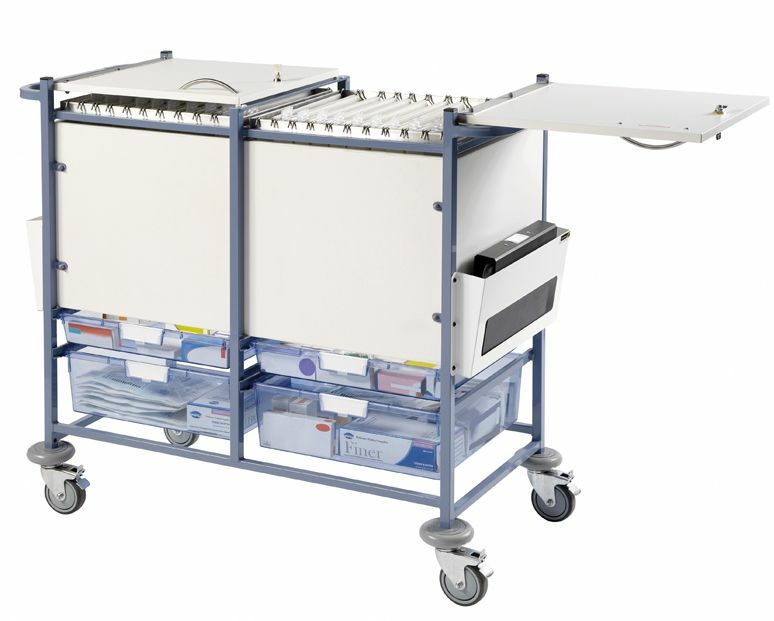 All chutes for transport and storage are stackable to their design. Universal scaffold frames suitable for all designs are also available. Wire Rope x 2 : 900 mm x 5 mm c/w 5 mm Eyelet at each end. Proof tester to 960 Kg.